Choosing the right grow lights for your crop is very important. Each type of light produces light in different spectrum’s. Marijuana plants require different light throughout vegetative growth and in flowering. As there are a multitude of different lights and lighting rigs; we look at the main types to find out which light is best for your particular needs. 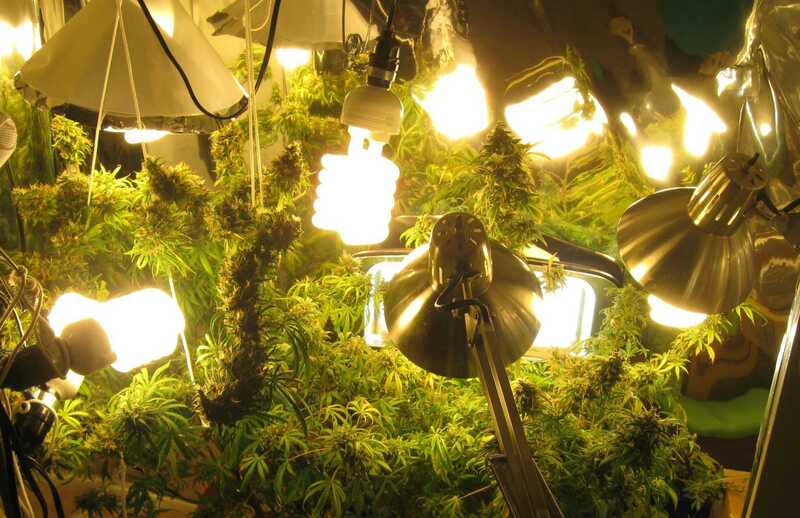 Lighting is essential for any marijuana plant to grow. Those who choose to grow outdoors don’t need to worry about lighting for their plants, because the sun naturally takes care of it for them. However, those who choose to grow indoors have bigger concerns. This is because indoor growers need to mimic the conditions of the sun and for that, they need to use the proper lights. 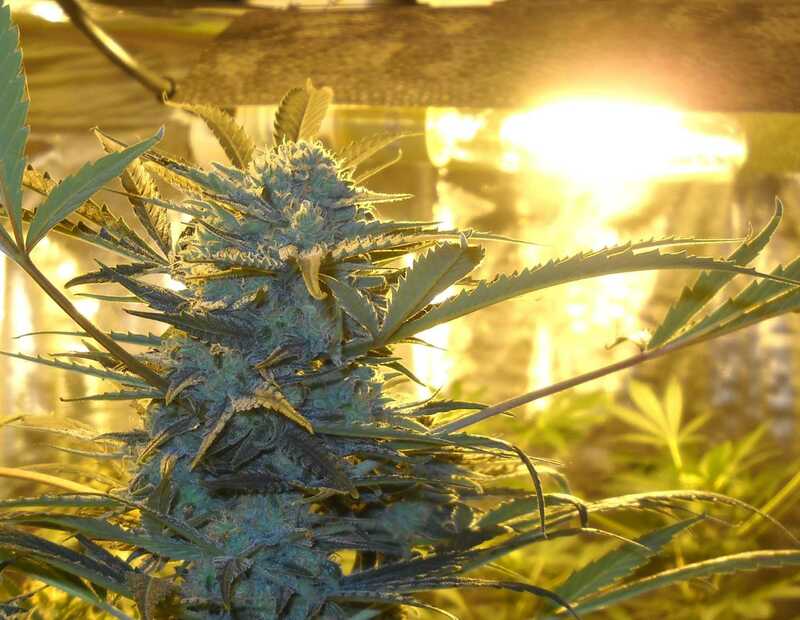 When it comes to marijuana plants, there are three: compact fluorescent (CFL) lights, high intensity discharge (HID) lights, and LED grow lights. CFL lights are really just a type of fluorescent lighting, and they’re already used in millions of households. CFL lights are short bulbs that are twisted into a tight coil. Placed directly above marijuana plants, or even directly beside young plants can provide plenty of light for the plant to grow properly. However, plants grown under CFLs also need to be monitored regularly, as having any light that close to the plants can burn the leaves and damage the plants. CFLs also don’t penetrate deep down into plants, another reason why they need to be moved often. Just like anything else, CFLs have their own pros and cons. For a first-month grow, including setup and electricity, the cost of CFLs is typically around $700, while the yield will be approximately ¼ – ½ ounce each month. More efficient than CFLs, HIDs are most easily identified by their large bulbs that are sometimes oddly-shaped. While HIDs are already very efficient, growers often compound that efficiency by placing the bulbs into reflectors or hoods that are hung above the plants so that they can reflect even more lights onto the plants. However, because these lights are so powerful, they can also produce an immense amount of heat, forcing many growers to install ventilation systems that can filter out the heat being generated. There are three types of HID lights: metal halide, high pressure sodium, or ceramic metal halide, which is also called LEC today. Metal halide lights produce a light that has a bluish tint to it, which is great for marijuana plants in the vegetative state. However, metal halide lights can be used throughout growth until harvest. Still, some growers prefer to switch over to HPS lights once the plants start the flowering stage because the yellow light produced by HPS bulbs can help with bud production. Some growers have started to call ceramic metal halide LECs, meaning that they’re “light-emitting ceramics”. This term technically isn’t wrong, as LECs are metal halides, just with ceramic used in the actual light. However, LECs are not a new type of grow light for marijuana, as some have claimed. They’re simply a different label that’s been placed on a product that’s been used for decades. In either case, lights identified as “LEC” or “CMH” (ceramic metal halide) won’t be as powerful as an HPS light. The cost of running HID lights will vary depending on the wattage that’s used. The initial cost for a 250W setup will be approximately $600, while the initial cost for a 600W HID setup will be closer to $800. LED lights are a popular option among cannabis growers, as they are typically easier to maintain than other types of lights – especially HIDs – and they provide a significant amount of light for marijuana plants. Unlike HIDs, they don’t produce a lot of heat, and some even have a cooling device built into them. Also unlike HIDs, LEDs can simply be plugged into the wall, usually above the plants, and don’t need complicated hanging devices to support them. LEDs also penetrate deep down into plants, so they don’t need to be moved around frequently. Cooling devices built right in most of the time. This pushes heat away from the plants, and keeps the actual light very cool. 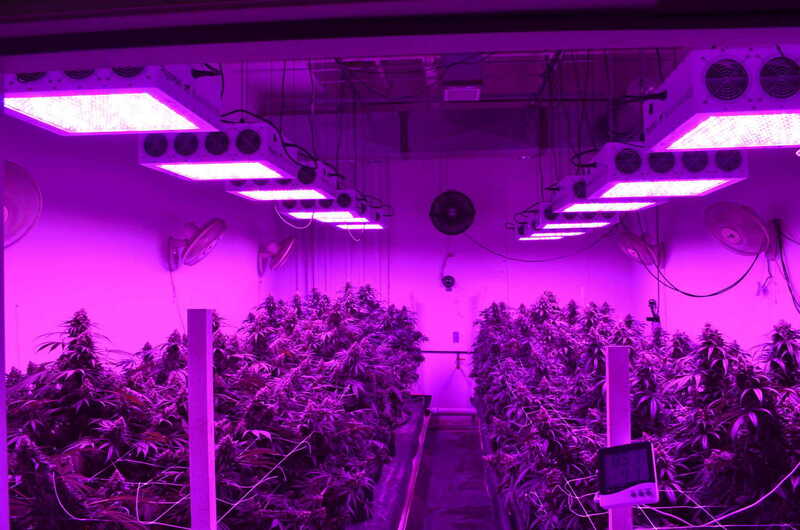 Growers that use LED lights often find that they don’t need to install separate vents as well. Plug-n-go! When using LED lights, growing can start almost immediately, as the only setup required is plugging the light in. More resinous buds. This is a debatable point among growers, but many find that when they combine LED lights with HPS, the resulting buds have far more resin on them and therefore, are much more potent. Smaller size. This can also make LED lights appropriate for closets or cupboards, especially when only a few plants are being grown. Ventilation may be required. LED lights are much cooler than other types of lights, especially HIDs and HPS lights. However, when many lights are being used, or the type of LED being used throws off a lot of heat, additional ventilation may be required. Smaller yields. LEDs are known for getting smaller yields than other types of lights. Typically from an LED, growers can expect about half a gram per watt, compared to a full gram per watt with HIDs. A learning curve. LED lights can be difficult to predict because no light is exactly the same as another, and there are no real standards to follow yet, as there are with other types of lights. Need height. LEDs need a significant amount of space between them and the plants. This means that if there isn’t a lot of height in the grow space, LEDs might not work. Smaller LED lights should typically be kept at least 18 inches away during the later stage of flowering, otherwise they can burn the buds. Bigger models of LED lights on the other hand, need to be kept at least 30 inches away from the plants, especially during the flowering stage. The cost of an LED setup will vary widely, depending on the type of LED one is using, and the wattage of the bulbs. Typically however, LED lights are the cheapest kind to run, with the initial setup costing around $600. The lighting of a grow space is one of the most essential aspects of growing marijuana. Cannabis plants thrive on light, and they need a lot of it in order to grow successfully. However, growers today have more options available to them than ever when it comes to choosing the type of light, and the amount of wattage they’ll use. The final decision will come down to the type of lighting the grow space can support, and a grower’s own personal preference for certain types of lighting.